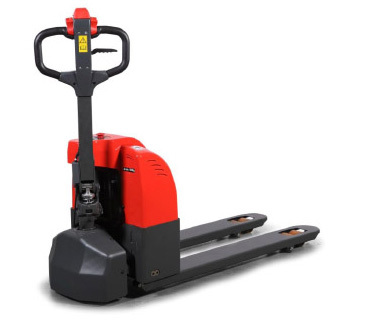 ECO "ESET33N" Semi-Electric Pallet Truck - MOBILE INDUSTRIES INC. :: Material Handling Tranport, Lift and Warehouse Equipment. 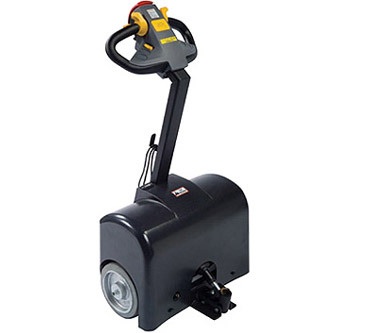 The ESET33N is a semi-electric pallet truck designed as an economic alternative to more expensive fully electric models. 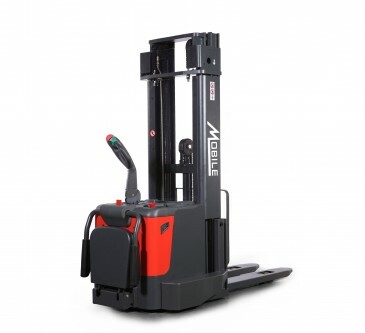 These units feature standard manual pallet truck style pumping operation for lifting and lowering loads, and self-propelled movement for easy transporting of goods. 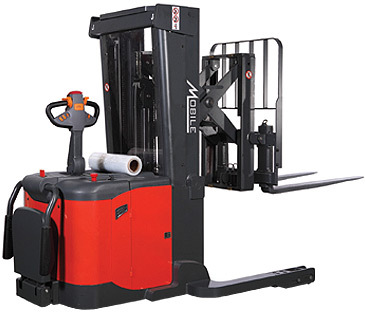 The compact and light design is suitable for a variety of light-duty applications in warehouses or similar applications. 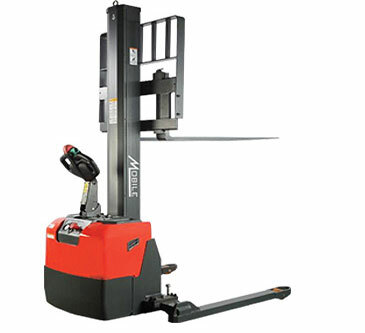 The ESET33N features a built-in charger for increased mobility and operation range, along with a battery discharge indicator that automatically cuts off the lift function when not in use.